Texarkana, TX Pest Control | Pest-Pro Services, Inc. There are many different stories about where our community got its name, but the most common one points to our proximity to the state lines of Texas, Arkansas, and Louisiana. Texarkana lies about 2 and ½ hours away from the hustle and bustle of Dallas, but we have plenty of our own activities and attractions that add fun and enjoyment to any visit. However, no matter how interesting and fun our community is, we are not exempt from the many pest pressures that residents throughout Texas deal with on a daily basis. The pest technicians here at Pest-Pro Services understand how frustrating it can be to find wildlife in your attic and insects invading your kitchen. Our goal is to provide you with a pest control plan that perfectly fits the needs of your Texarkana property. For complete pest protection and satisfaction, consider Pest-Pro Services for solutions to all of your pest problems. Your Texarkana home should be a place where you can let go of stress and enjoy your personal life. This can be difficult to accomplish, however, when pests enter your home to spread disease, destruction, and fear to you and your family. 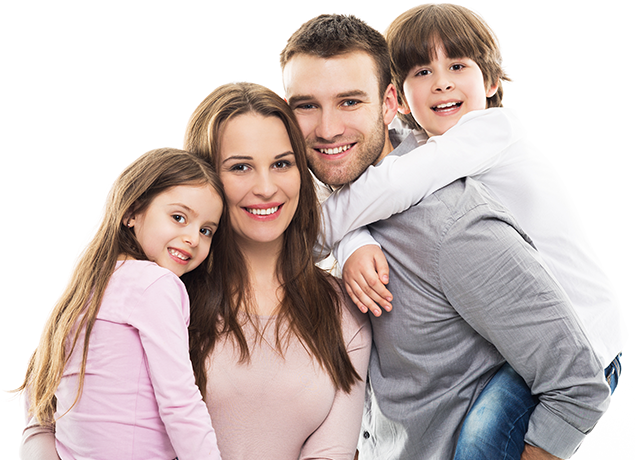 Pest-Pro Services is dedicated to the homes and families we service. With three different home pest control programs to choose from, Pest-Pro Services offers plans that fulfill the needs of your home and your budget. We are family oriented, which means we always go above and beyond to ensure that you are receiving quality pest control services that you will be 100% satisfied with. Contact Pest-Pro Services for more information on our pest control programs, or to receive a free quote! As with anywhere in Texas, Texarkana is home to several species of spiders, including venomous and non-venomous spiders. Fortunately, the only two dangerous spiders that call Texarkana home are black widow spiders and brown recluse spiders. These venomous spiders are known for their dangerous and, occasionally fatal bites. If spiders are invading your home or business this year, reach out to the pest technicians here at Pest-Pro Services for all of your pest and spider problems! No matter which industry your business is in, Pest-Pro Services has a pest control plan for you. If your office building, apartment complex, food processing facility, or restaurant is facing a pest invasion, the pest technicians here at Pest-Pro Services will provide you with a customized pest control plan to remove your pest problem as efficiently as possible! Your Texarkana business deserves to thrive as a company, but the only way to ensure that your company isn’t turning customers away is with a comprehensive pest control plan from Pest-Pro Services. Contact us to experience a cleaner, pest free environment right away! As the bed bug population in Texas, and across America, continues to grow, many home and business owners are facing the pressure of these tiny, blood-sucking pests on their properties. The only sure-fire way to keep bed bugs off your residential or commercial property is with a proper treatment. Avoid setting your coats, bags, or personal belongings down in public areas such as airports, malls, schools, and daycares. Check all of your belongings for signs of bed bugs (or their small, white eggs) before entering your home or business. If possible, put bed bug infested items in the washer and dryer on the highest heat setting allowed by the fabric. When traveling, consider placing any extra clothing inside plastic bags. Contact Pest-Pro immediately if you discover bed bugs in your home or business. When bed bugs invade your property, the best way to get rid of them is with the help of Pest-Pro’s pest technicians. Keep bed bugs away with effective bed bug control from Pest-Pro Services!